All right all you Star Wars geeks, correct us if we’re wrong, but weren’t all the Storm Troopers clones of bounty hunter Jango Fett? If so, don’t you ever wonder if the dentist on an Imperial Battleship ever got bored seeing the exact same teeth day after day? 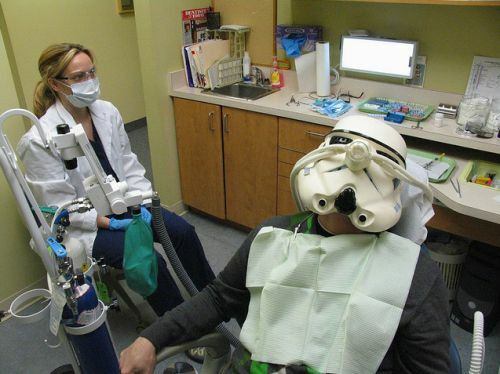 Furthermore, it’s our hypothesis that the Storm Troopers suffered from very poor oral health. Every one of them that Luke Skywalker and Han Solo encountered must have just walked out of a dental sedation. How else can you explain their inability to aim a blaster rifle? I guess whatever works to get people to the dentist!